The Eames Plastic Armchair by Vitra, designed in the Year 1950 door Charles & Ray Eames is a true classic design. 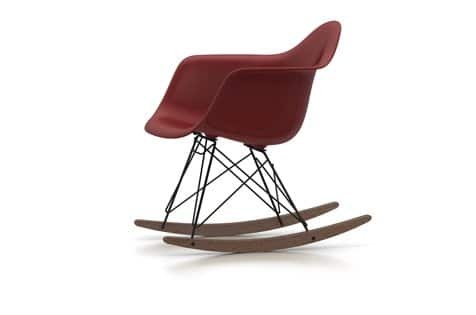 The Eames Plastic chairs are redesigned versions of the legendary Fiberglass Chair. The original was the first industrially produced chair made of plastic, by the company “Zenith Plastics” and was developed for the the Mordern Art Museum, which organised a design competition about “Low-Cost Furniture Design”. 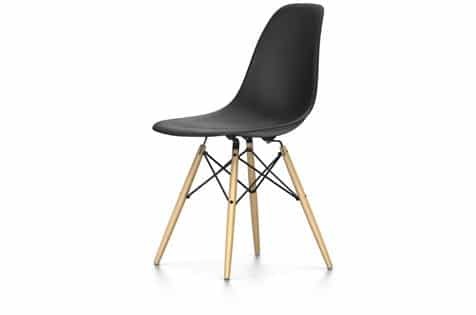 The organic form of the Plastic Side Chair is now the ‘archetype’ of plastic retro seats. There is a wide choice of colors and fabrics. Due the many combinations we did not place all seats options online. If you want more information of a certain variant, please contact with our shop. We are happy to help you. Check them online HERE. 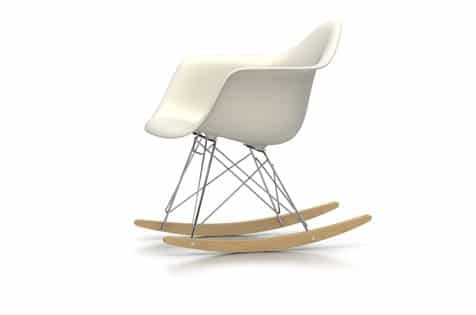 The Eameses recognised and fully exploited the advantages of the material: mouldability, rigidity, pleasant tactile qualities, suitability for industrial manufacturing methods. With this material, which was previously unknown in the furniture industry, they successfully developed the shell designs for serial production. After their debut at the ‘Low-Cost Furniture Design’ competition organised by the Museum of Modern Art in 1948, the Plastic Armchair (A-shell) and Plastic Side Chair (S-shell) were launched on the market in 1950 as the very first mass-produced plastic chairs in the history of furniture. 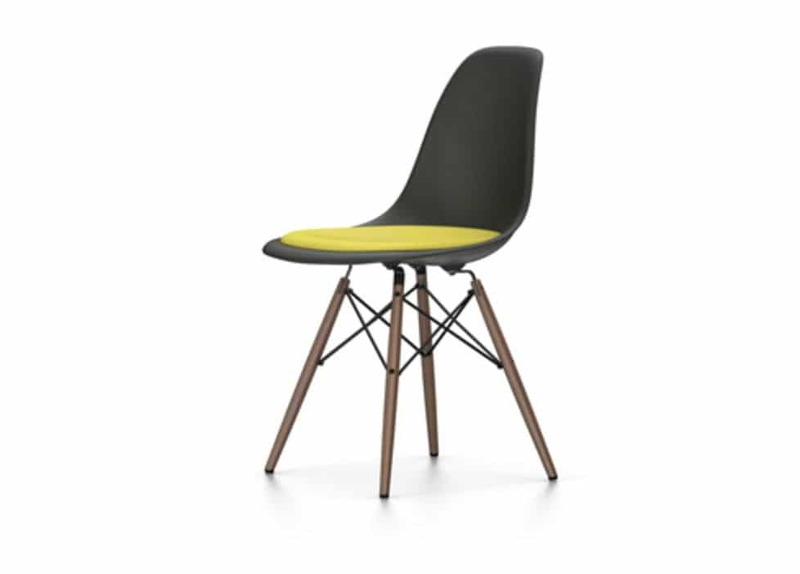 The Eames Plastic Chairs also introduced a new furniture technology that has since become widespread: the multifunctional chair whose shell can be joined with a variety of different bases to serve diverse purposes. 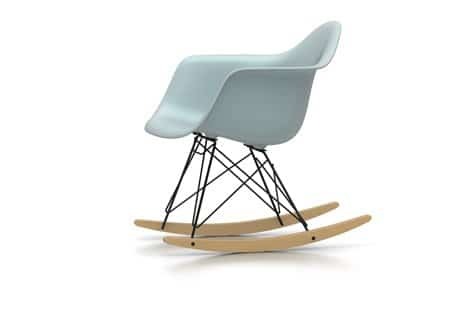 As early as 1950, Charles and Ray Eames presented a series of bases that enabled various sitting positions. 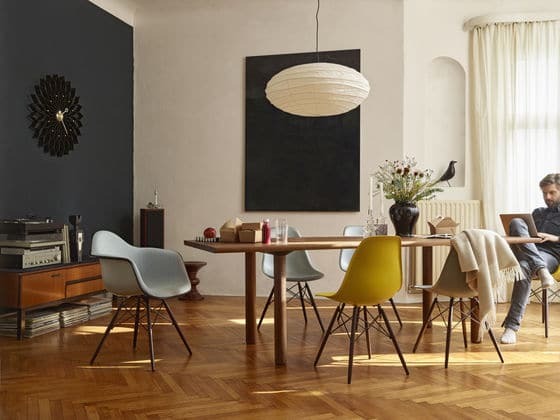 An especially striking model is the so-called Eiffel Tower base – an intricate and graceful design made of steel wire that inimitably combines light, elegant forms with structural strength. 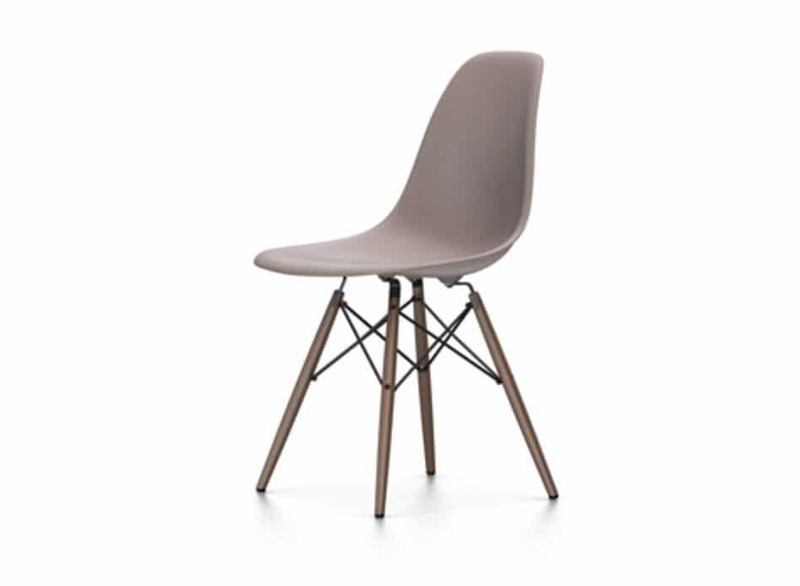 Today Vitra manufactures the comfortable seat shells of the Plastic Side Chairs and Plastic Armchairs in polypropylene, offering a multitude of bases, shell colours and upholstery options. 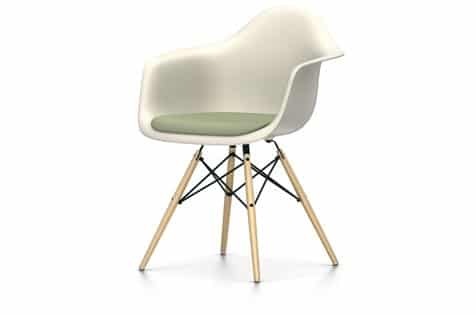 This allows customers to specify countless different combinations and to use the chairs in the widest range of settings – from dining rooms, living rooms and home offices to office workspaces and conference rooms; from restaurants and cafés to break rooms and cafeterias; from waiting areas and auditoriums to terraces and gardens. In 2016 Vitra has added approximately 20 mm to the height of the Eames Plastic Chairs DSX, DAX, DSR, DAR, DSW and DAW, while also revising the seat geometry. 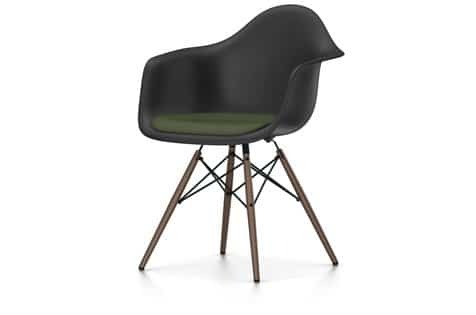 These modifications, which are aesthetically almost imperceptible, increase the comfort of this classic chair design, especially in combination with contemporary tables.